Exceptional Wireless Performance on Any Stage, Anywhere! If you're ready to move up to digital wireless quality, the Line 6 XD-V55 handheld digital wireless system is the place to start! the XD-V55 handheld digital wireless system gives you the same clean, clear, and ultra-reliable performance as its big sibling, the XD-V75 system - in a more affordable, more compact setup that's unbelievably easy to use. 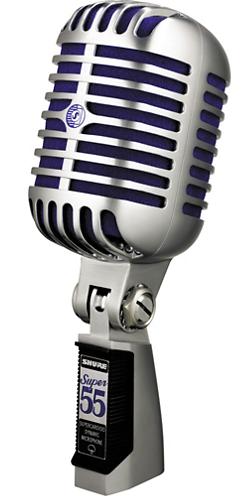 Instantly switch among 12 channels on both the mic and the elegantly simple-to-operate receiver. 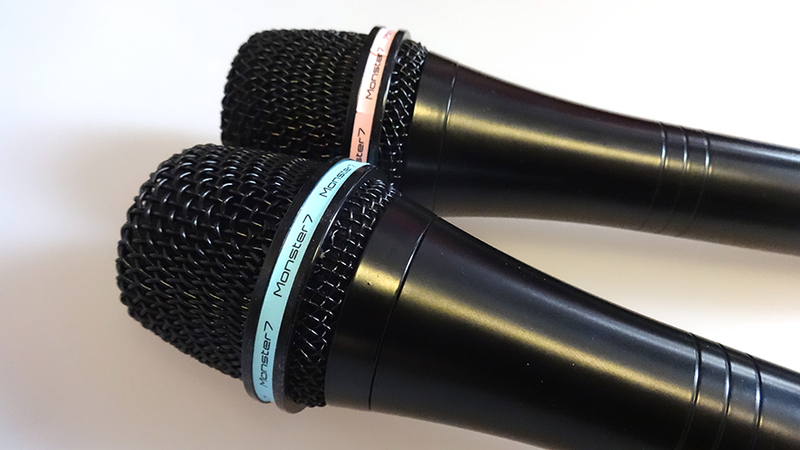 Roam the stage knowing that you'll sound great, without dropouts, RF interference, or noise, with up to 300' of range. You owe it to yourself - and your audience - to get the absolute best performance out of your stage setup. 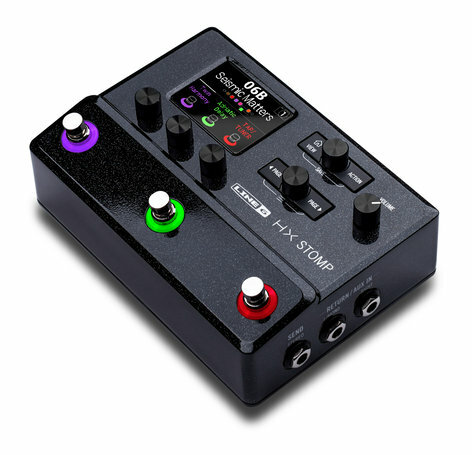 You'll get it with the Line 6 XD-V55 handheld digital wireless system! 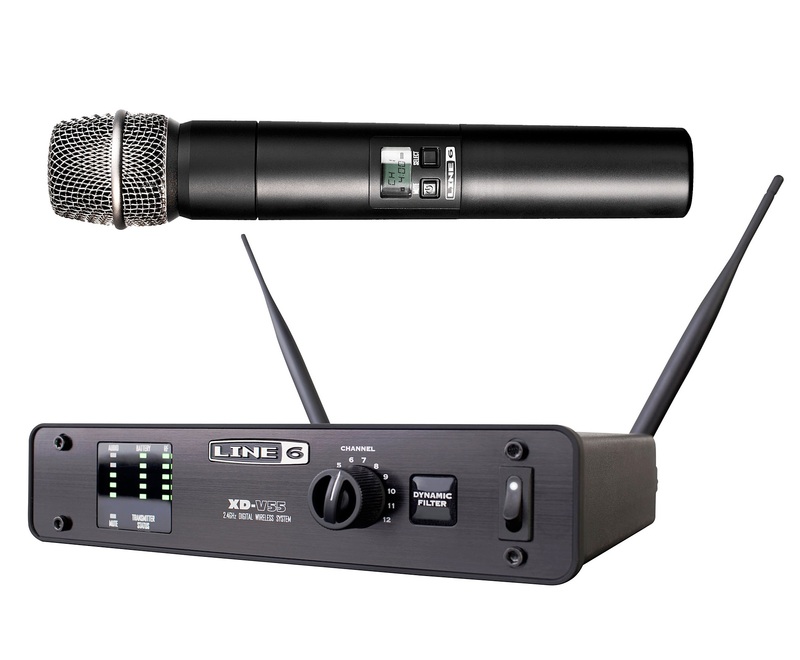 The XD-V55 is outfitted with digital reproductions of four live vocal microphone models to optimize the sound of your performance. 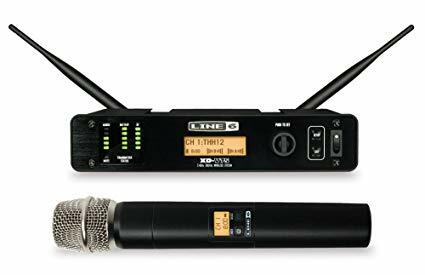 With the touch of a button on the XD-V55's transmitter, you can select a model to fit your voice, your venue, or the rest of your rig. 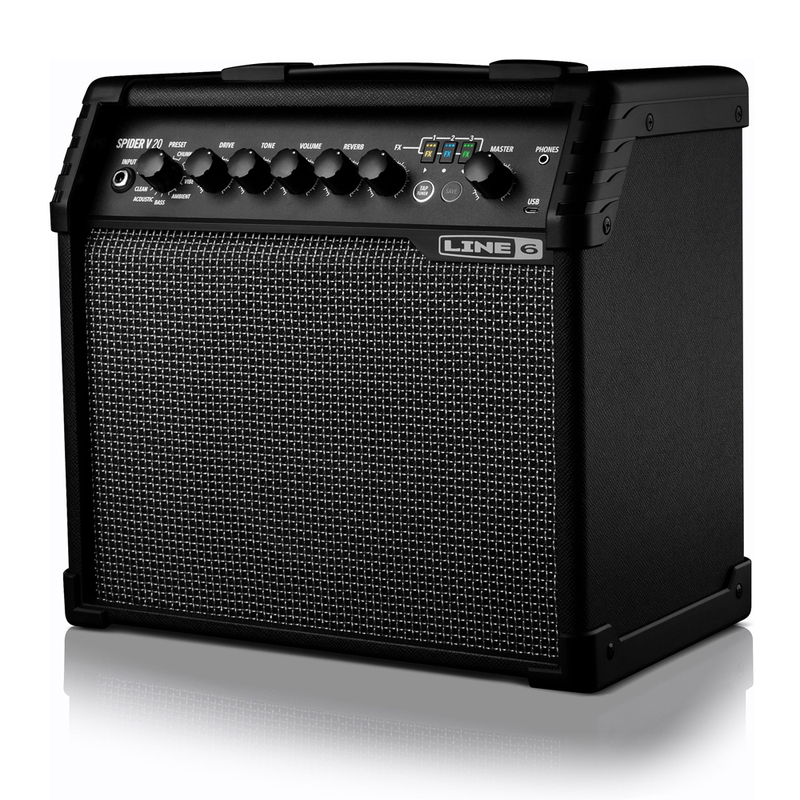 The Line 6 XD-V55 represents the fourth generation of digital wireless systems from Line 6, making them the most mature digital systems in the industry. 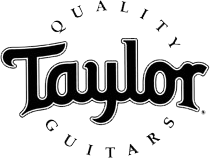 The full-range, compander-free operation means you'll deliver clean, vibrant vocals that never sound "squashed" or "dull". This incredible system gives you 12 "always available" channels, each of which is ready to use at a moment's notice. That's a far cry from conventional analog setups, which require you to dial in channels individually before you can use them. You'll also appreciate the XD-V55 system's rock-solid reception and outstanding 300' range. The 12 available channels on the XD-V55 wireless system operate in the 2.4GHz band, free from interference from TV broadcast and white space devices. These channels are ready for use anywhere in the world, license free. 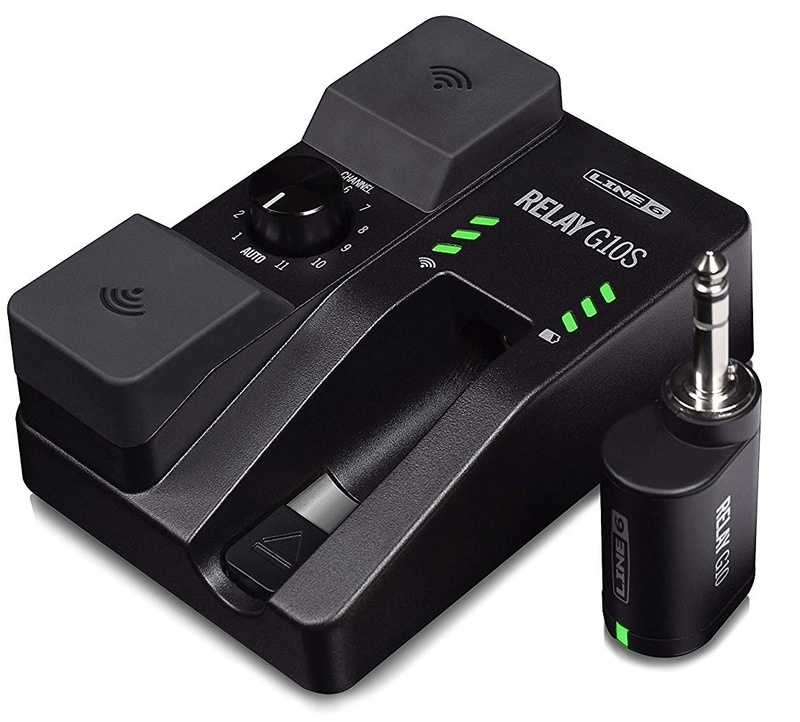 You won't find this functionality on any other wireless system, and if you're planning an international tour this is your only alternative to having to source a wireless system in each country you stop in.